The Queen of Soul is feeling "great." Aretha Franklin, recovering at her suburban Detroithome after surgery, said she feels “great” and plans to soon reveal her mystery ailment. In her first interview since surgery on Dec. 2, the Queen of Soul told JET mag she expects about eight weeks of recuperation. 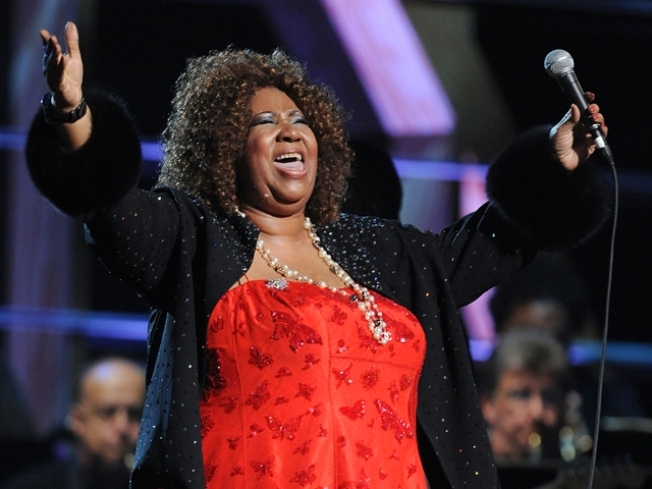 The 68-year-old “Respect” singer did not address press reports she has pancreatic cancer. But she promised to “talk more later” about the nature of her health condition, according to JET. Franklin also expressed appreciation for prayers and support, saying her list of well-wishers has included: Stevie Wonder, Oprah Winfrey, Tavis Smiley, Rev. Jesse Jackson, Patti LaBelle, Dionne Warwick, Smokey Robinson, Berry Gordy and Condoleezza Rice.